Around the turn of the century, when Aleister Crowley was working out his system of Magick, the source that he turned to for basics was the system of Abramelin of Egypt. From Abramelin he took his concepts of protections, purifications, evocations, vestments, and dromena down to specific details., This system of Abramelin the Mage is known from a unique fifteenth century manuscript preserved in the Bibliothèque de L'Arsenal in Paris. 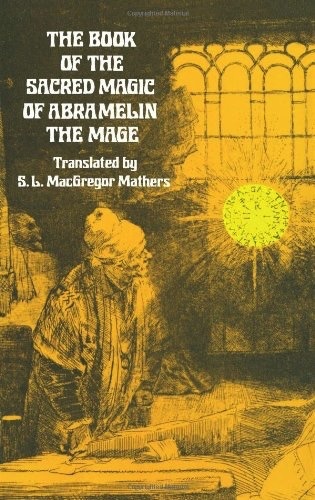 In it, Abraham of Würzburg, a cabalist and connoisseur of magics, describes a tour that he made of the then civilized world, visiting sorcerers, magicians, and cabalists, estimating their powers and virtues. 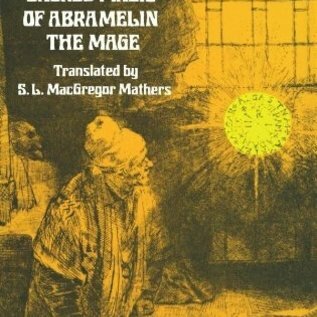 This quest is in itself as fascinating as the similar tours of Gurdjieff., The high point of Abraham's travels was found in a small town on the banks of the Nile, where he encountered the great magician Abramelin, whose complete system Abraham thereupon sets out in detail. This amounts to a complete course in ceremonial magic (both white and black), which the student can pursue by himself., Abramelin, whose system is based mostly on Hellenistic theurgy of the Iamblichan sort, but with Jewish increments from the Cabala, explains the qualifications needed to become a magician, purifications, and asceticisms to be practiced month by month, studies and activities permitted during this period, selection of place and time for working magic, equipment needed, prayers and formulas, evocation of good and evil spirits, commanding spirits to do one's will, overcoming rebellious spirits, and similar material. Specific instructions are offered to develop such powers as clairvoyance, divining metals and treasures, warding off evil magic, healing illness, levitation, transportation, rendering oneself invisible, creating illusions and glamour, reading minds, placing compulsions, working black magic, and a host of other abilities., We do not guarantee that Abramelin's techniques work, nor that the results are desirable, but we offer this as a genuine medieval course in magic, one of the most important books in the history of occultism. It is of paramount importance to both the historian and the practitioner.